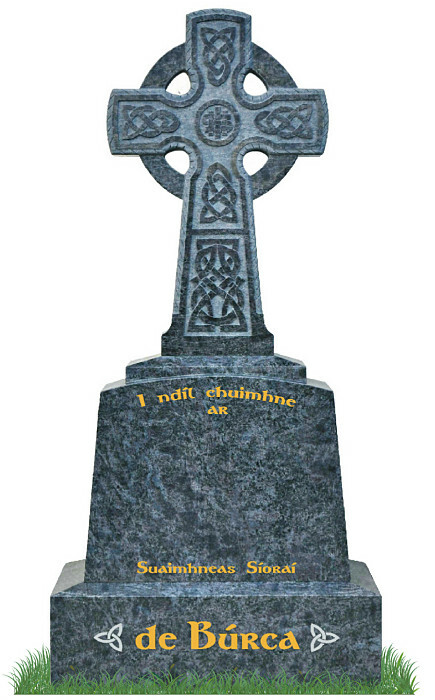 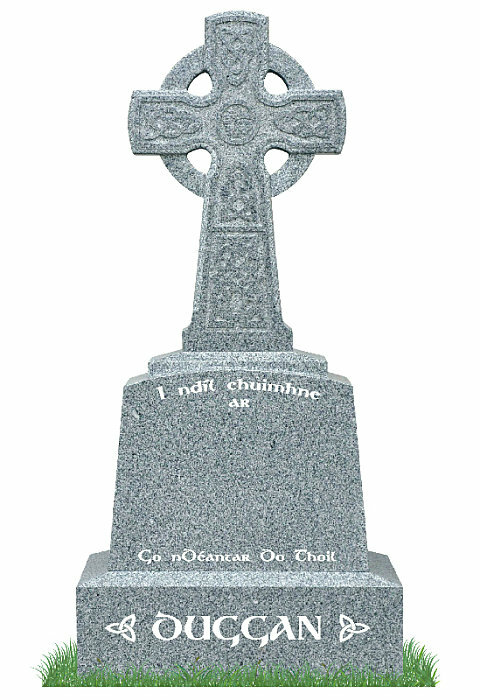 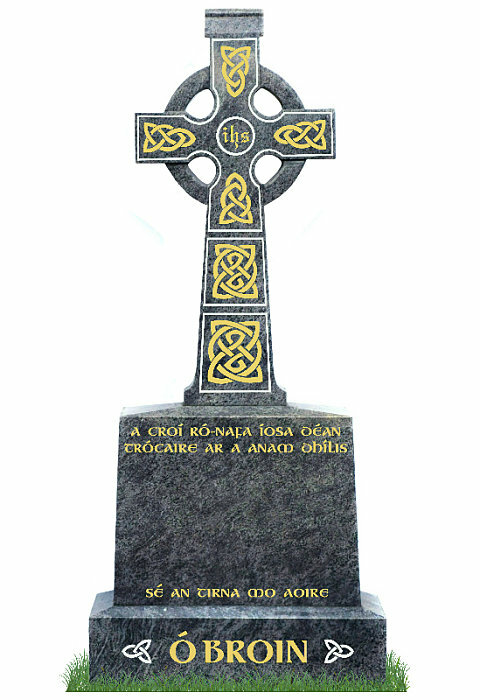 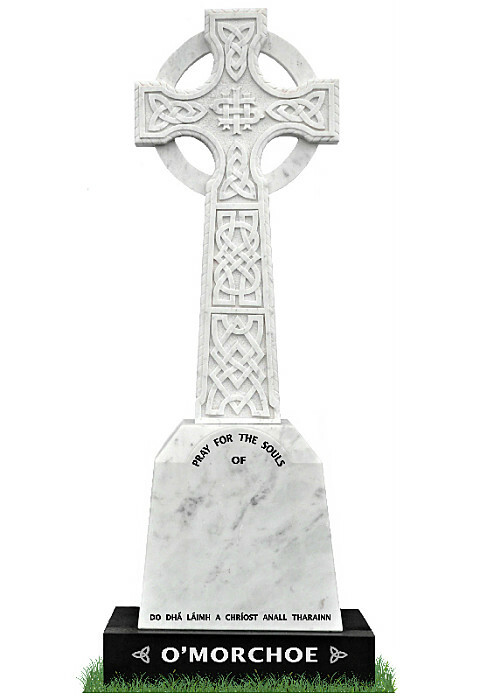 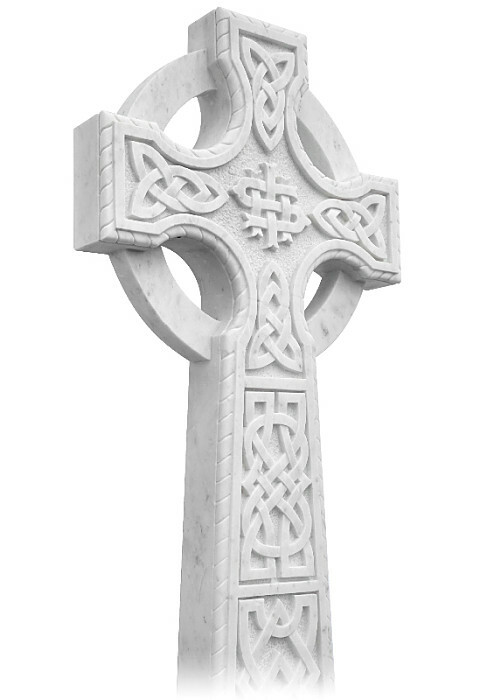 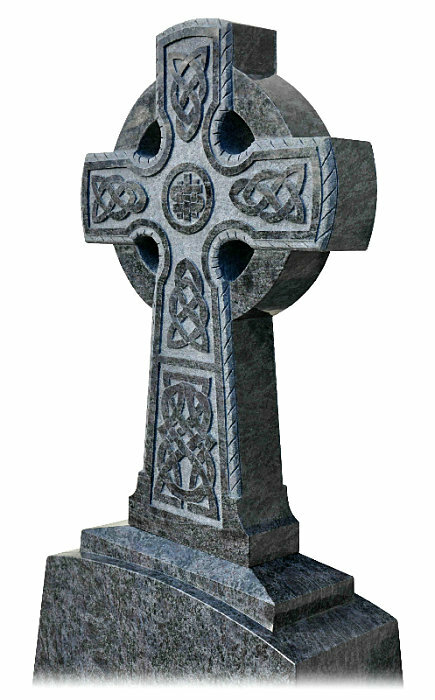 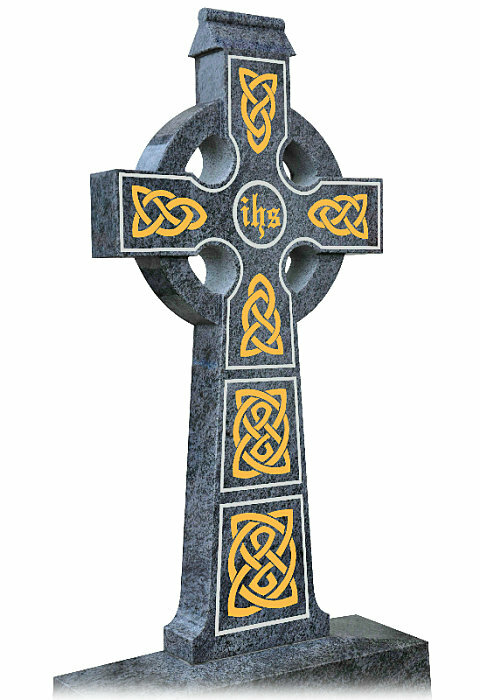 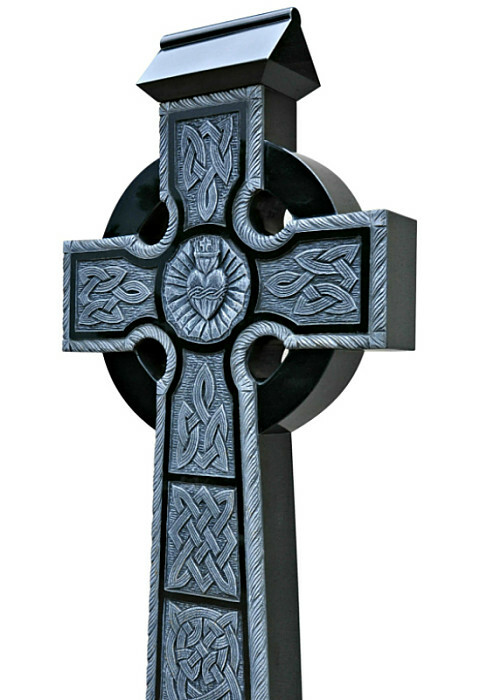 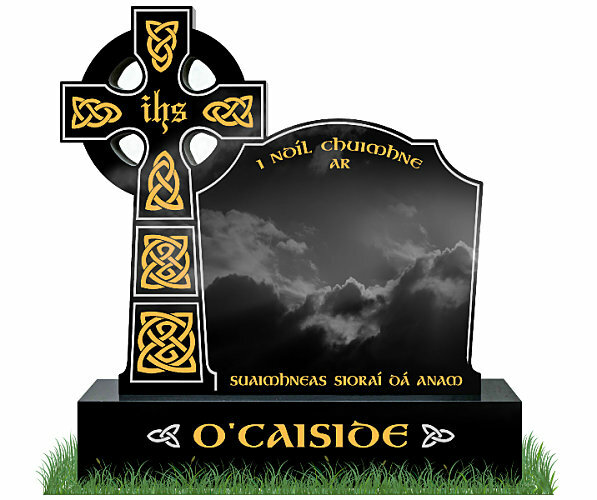 The Celtic Cross, one of the most well-known symbols of Irish culture is a prominent feature in our Irish Headstones section. 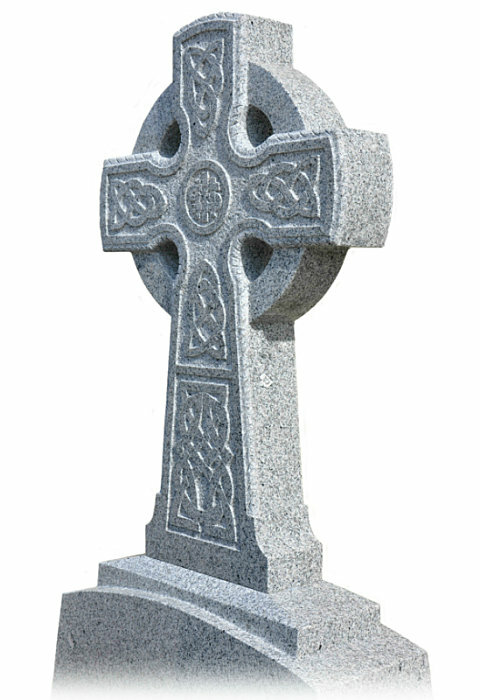 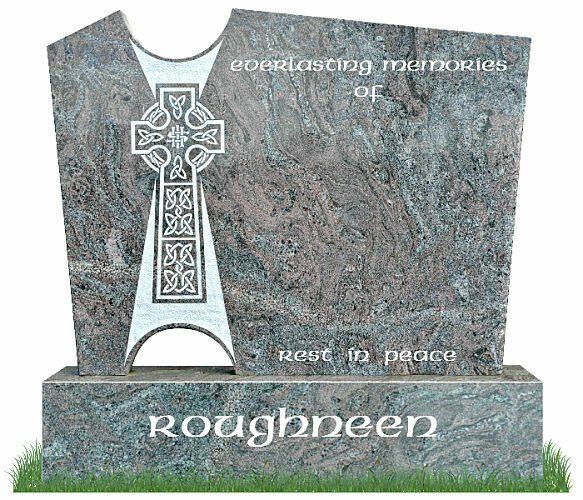 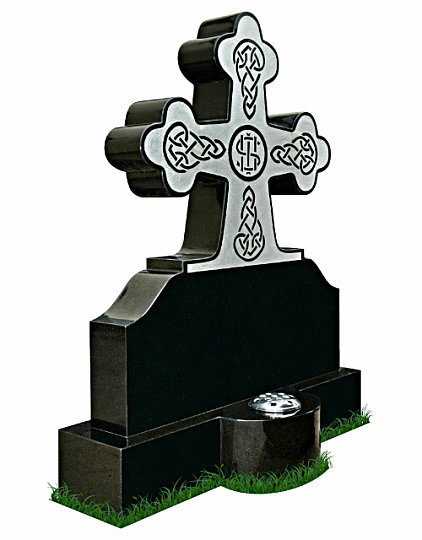 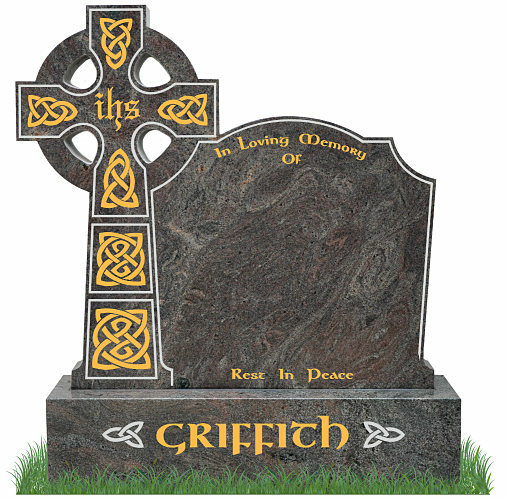 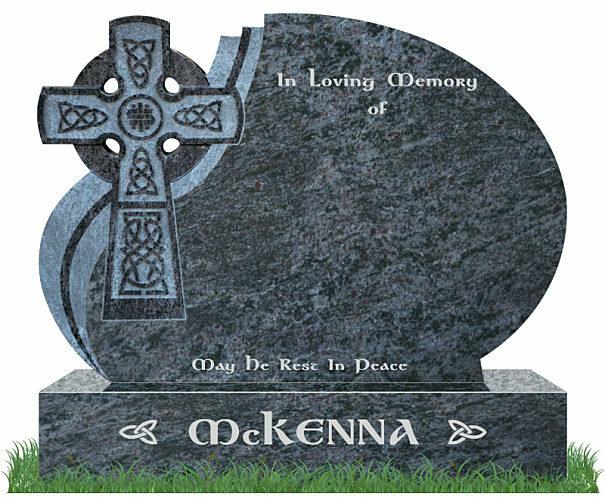 Celtic Cross Headstones can be adapted to different gravestone designs as shown in this section within a variety of granites and sizes. 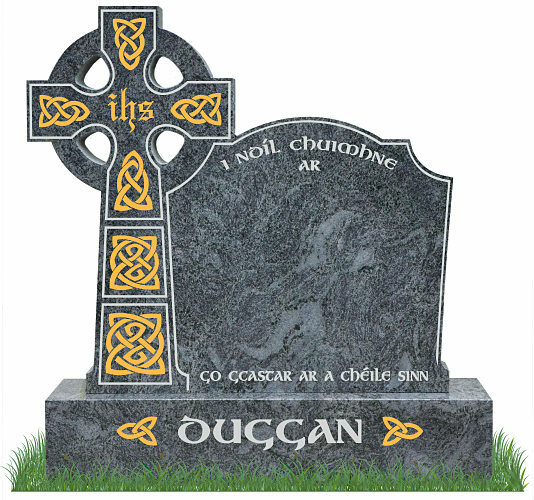 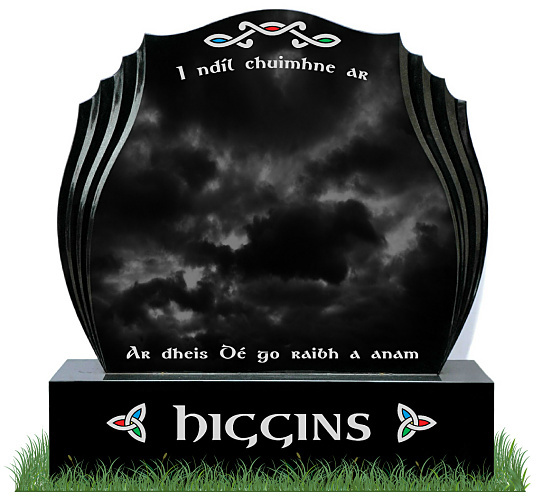 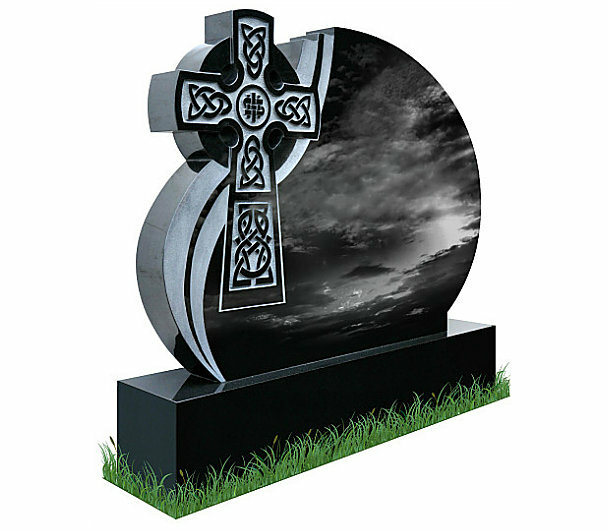 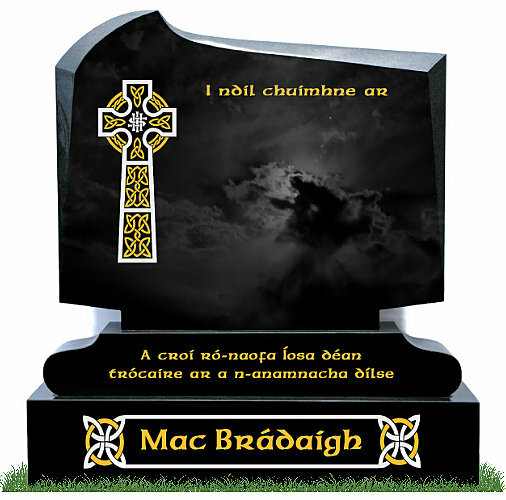 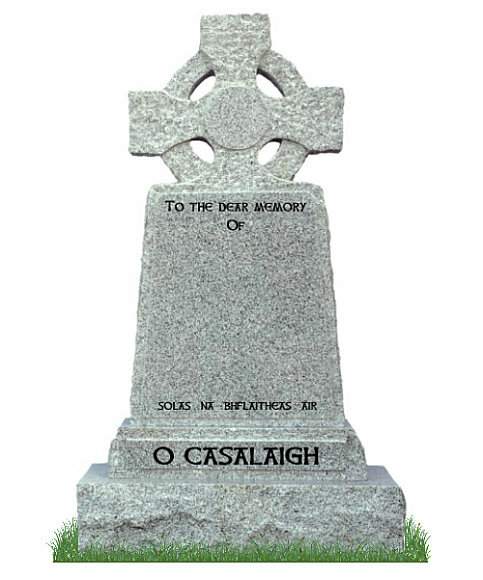 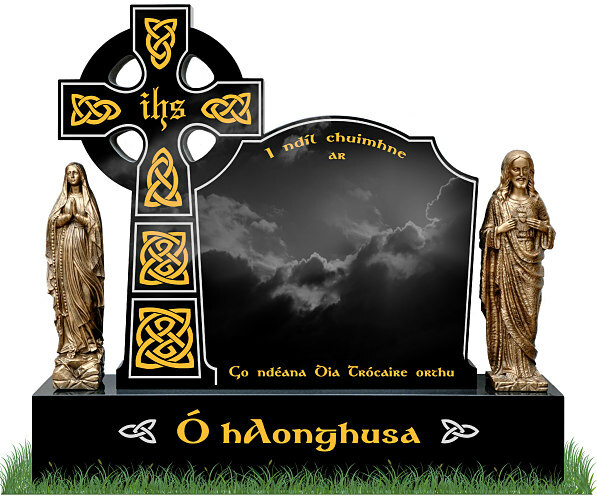 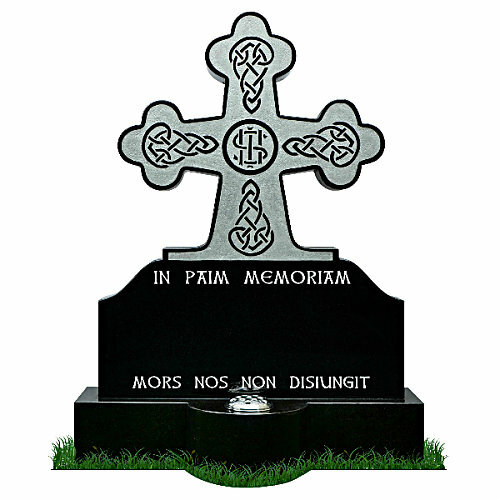 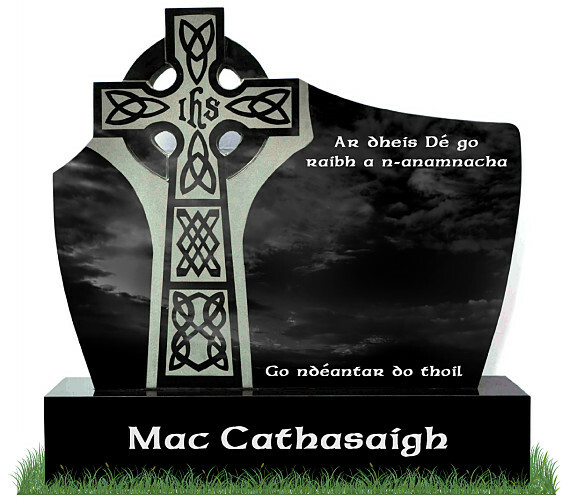 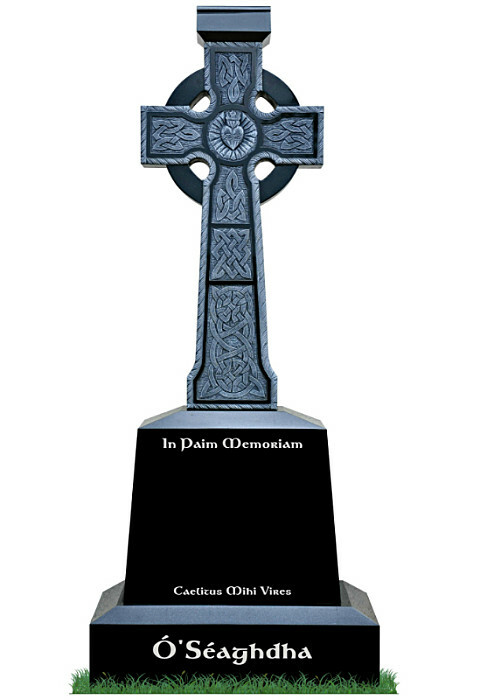 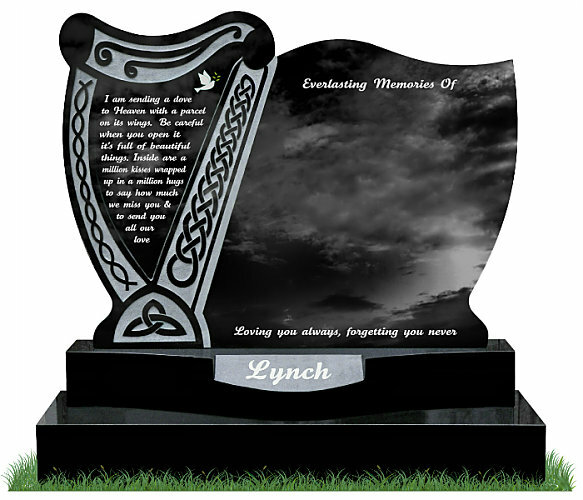 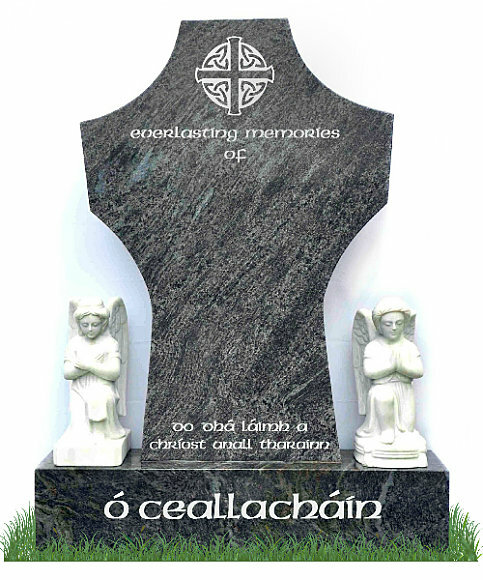 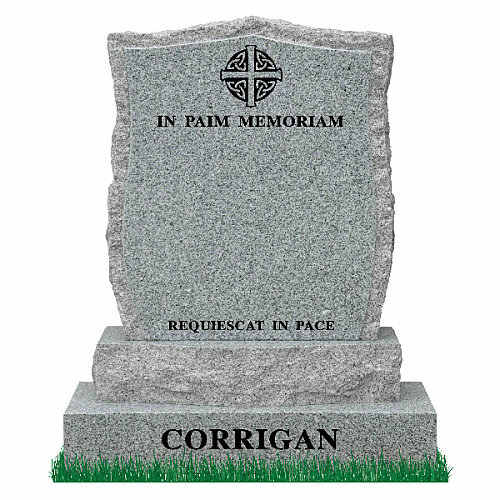 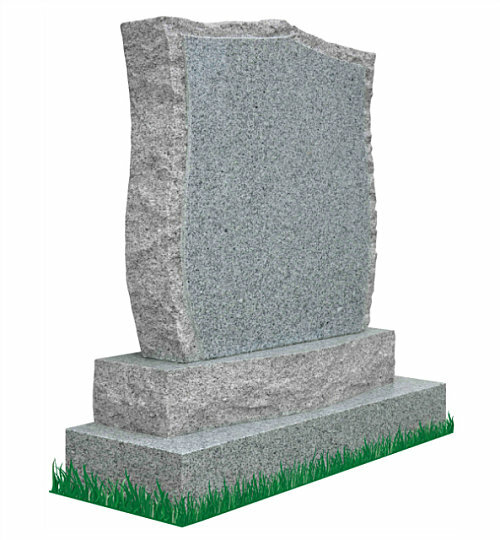 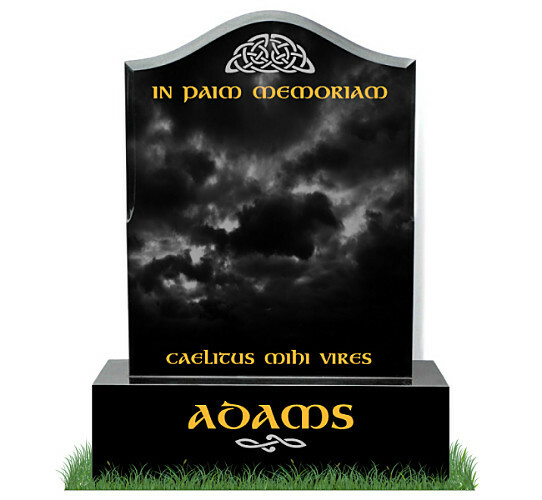 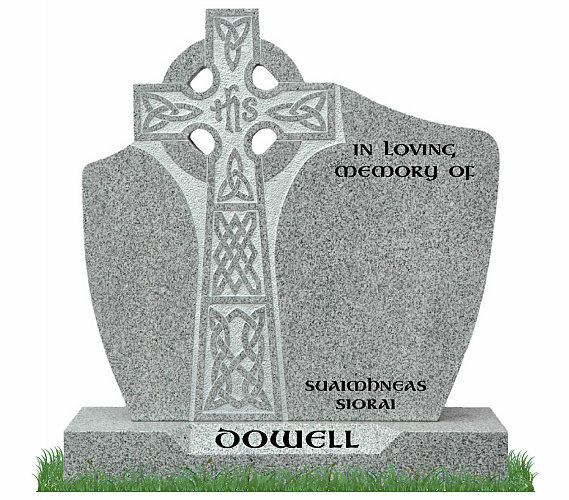 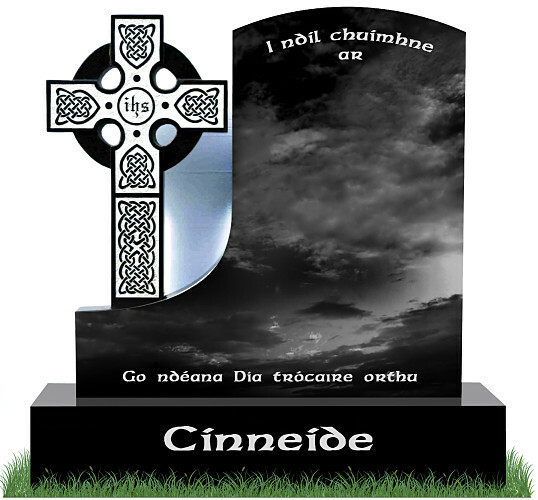 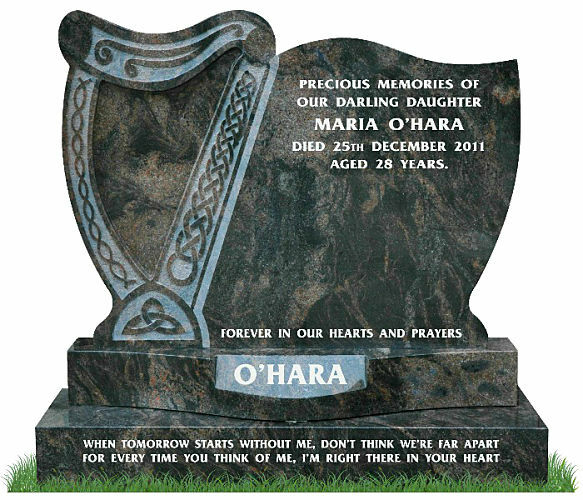 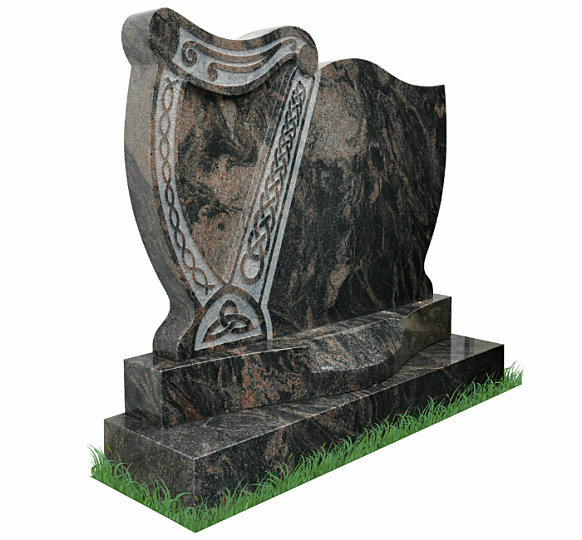 You can choose your own Celtic Headstone Designs to complement any Irish Headstones displayed here. 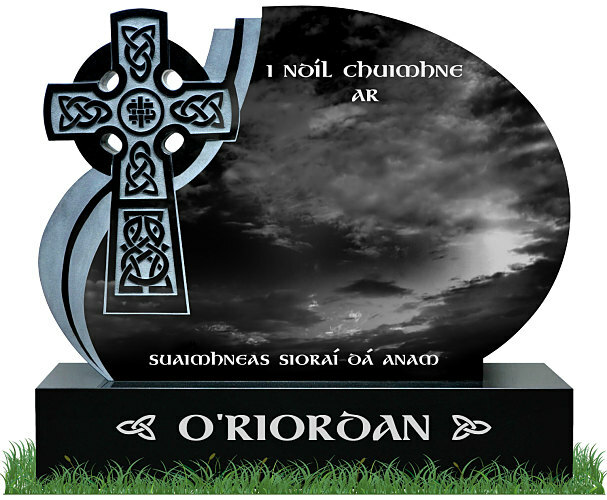 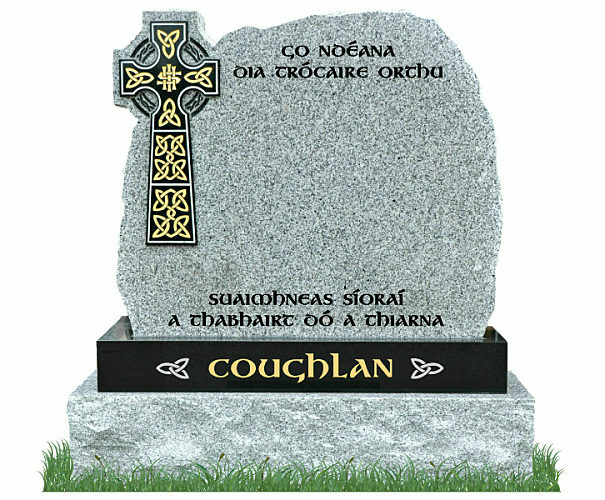 On each headstone, we have incorporated some short Gaelic Verses which can be engraved using our appropriate Celtic Fonts To receive a price for any of our Irish headstones complete our headstone prices contact form shown below or call a member of our staff for more information.